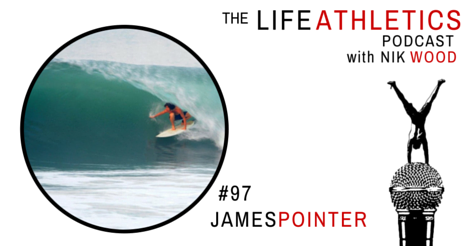 Life Athletes, hello and welcome to episode 95 of the Life Athletics podcast. Today’s guest is James Pointer. James is the founder of Melon Optics, a company that makes custom sunglasses and goggles. Success, to him, means happiness – which is the end game of it all, as he says. He likes to go about his day (and life) without being confined by other people’s needs. His greatest strength, he believes, is his ability to get stuff done! Although it’s easy to get stressed by a lot of things, he offers an advice of stepping back whenever problems arise. After all, it is a great way to be able to solve the puzzles of life when you’re an outsider.